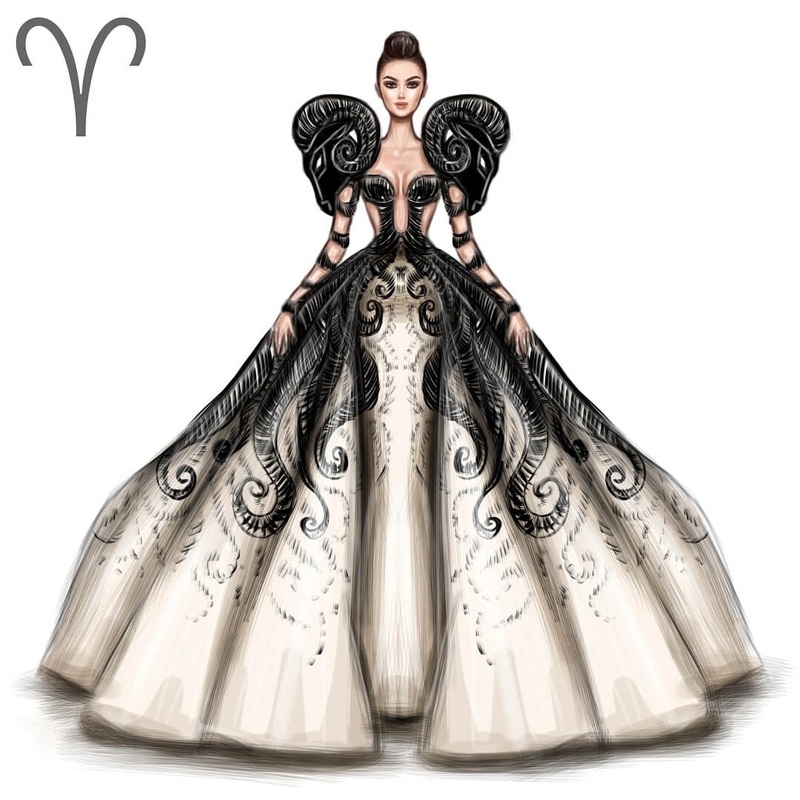 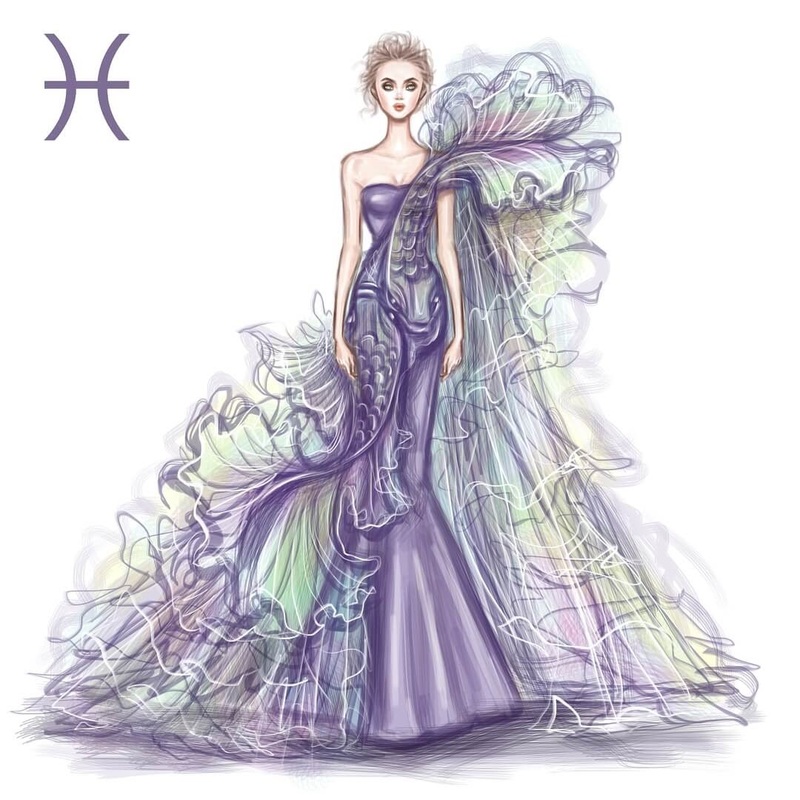 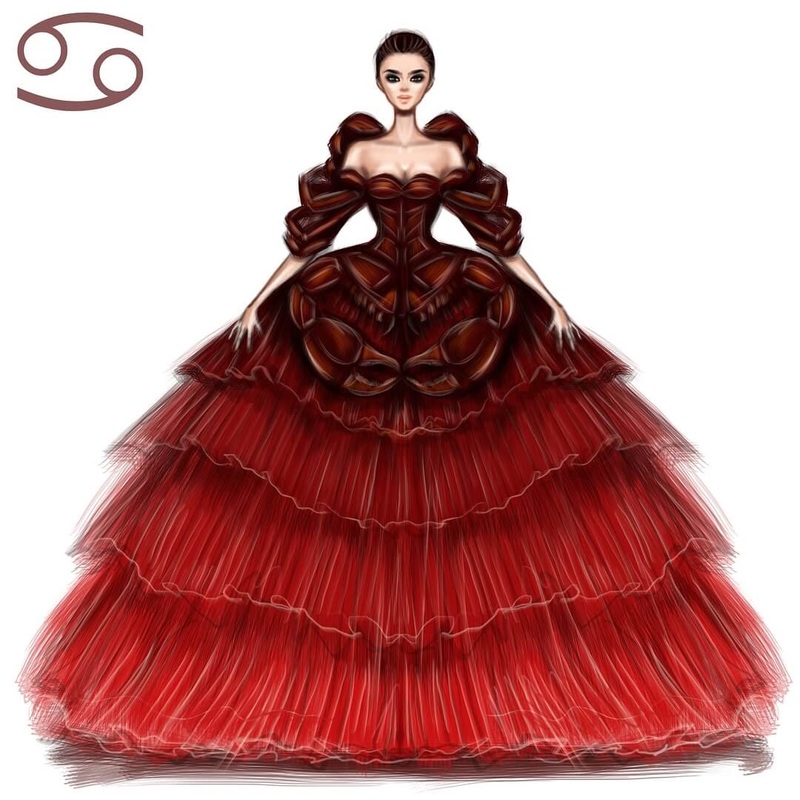 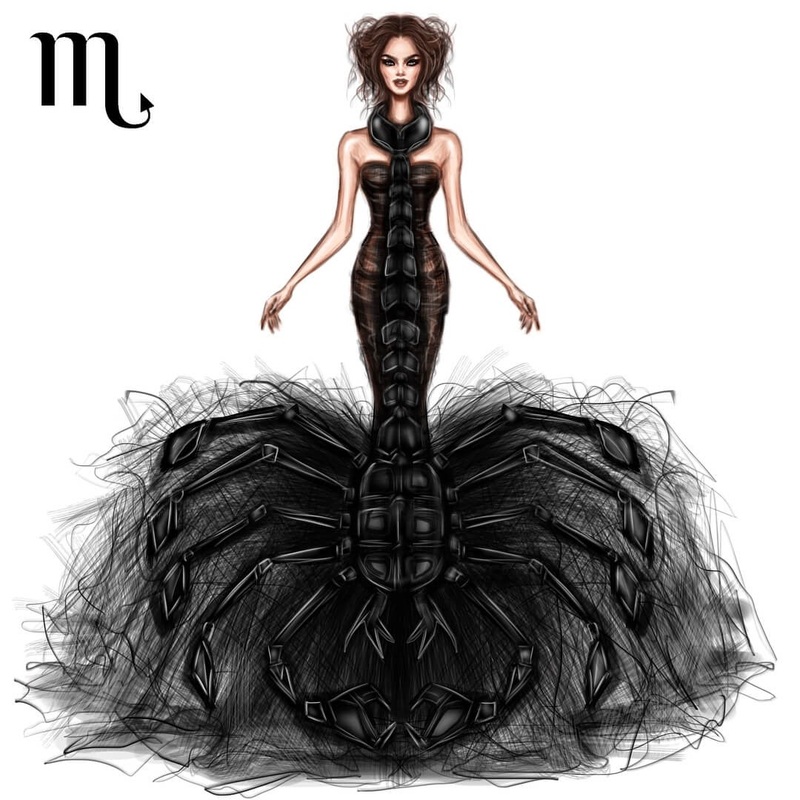 This is part two, following last week's fashion drawings, these are the Zodiac inspired ones. 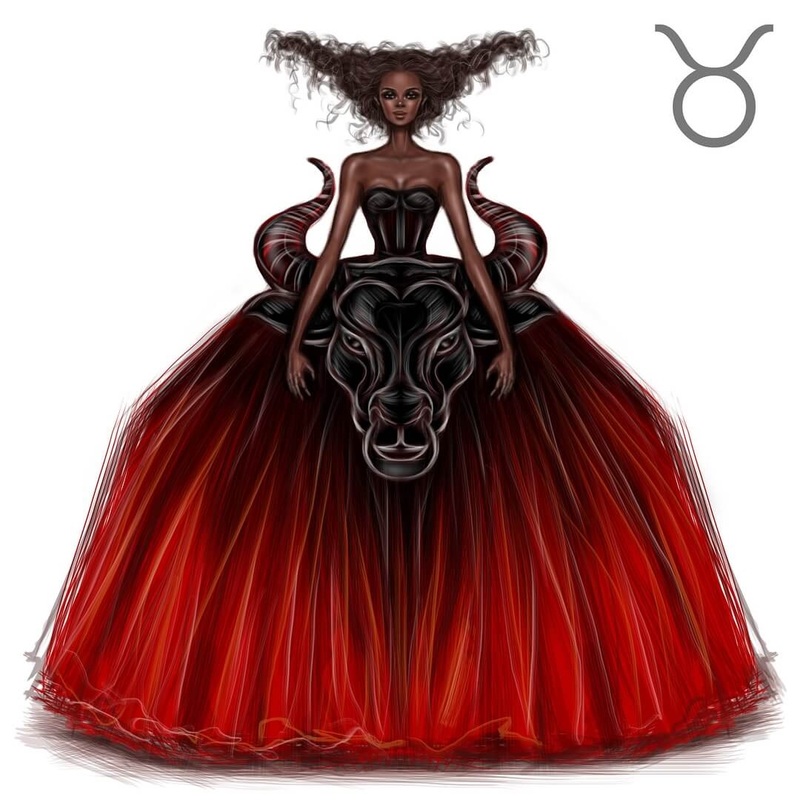 To see more about Shamekh Bluwi, click the link below this written portion. 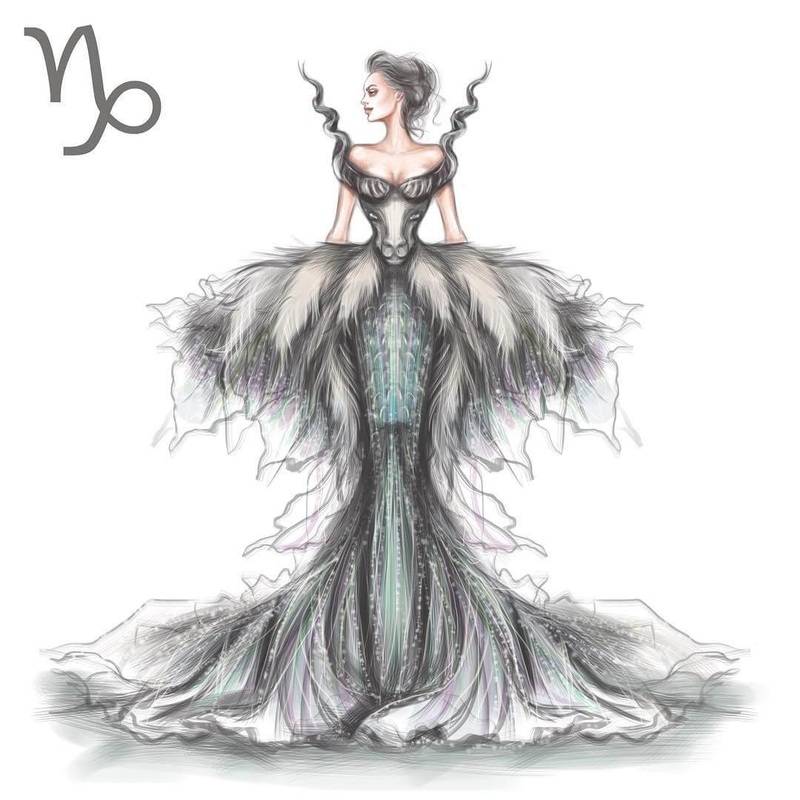 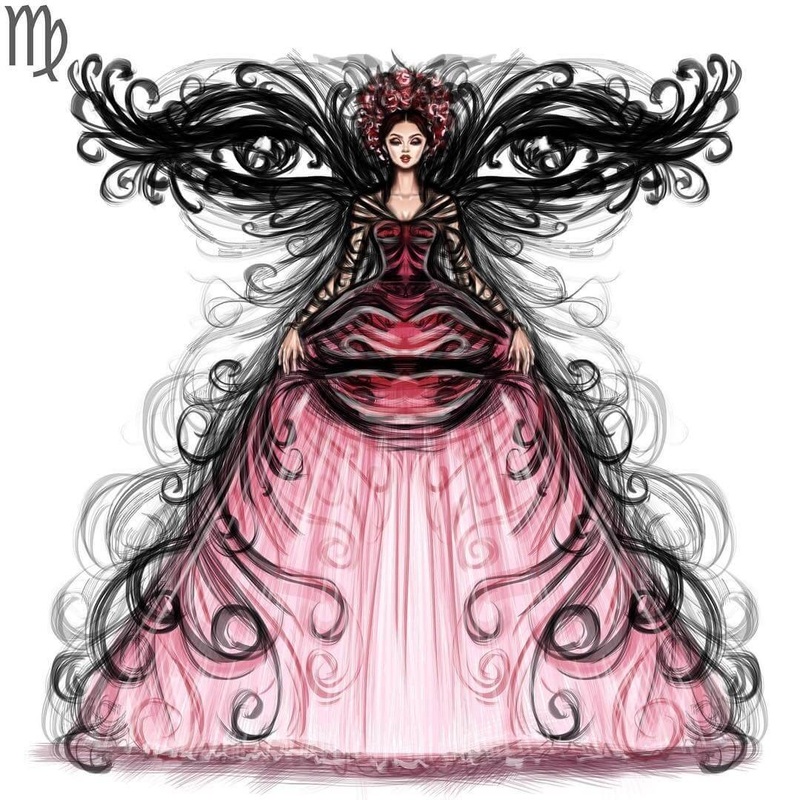 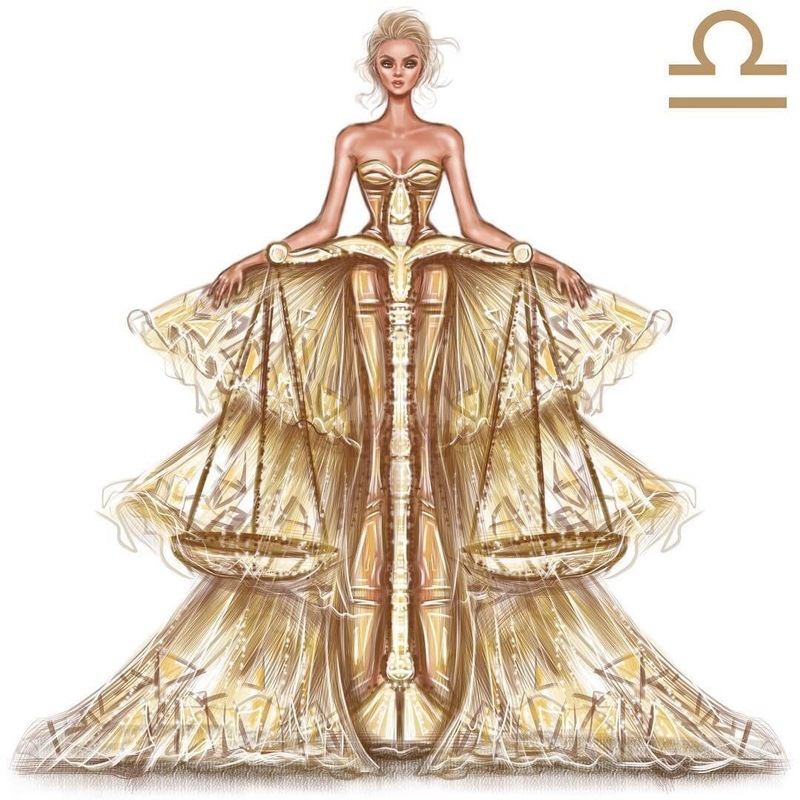 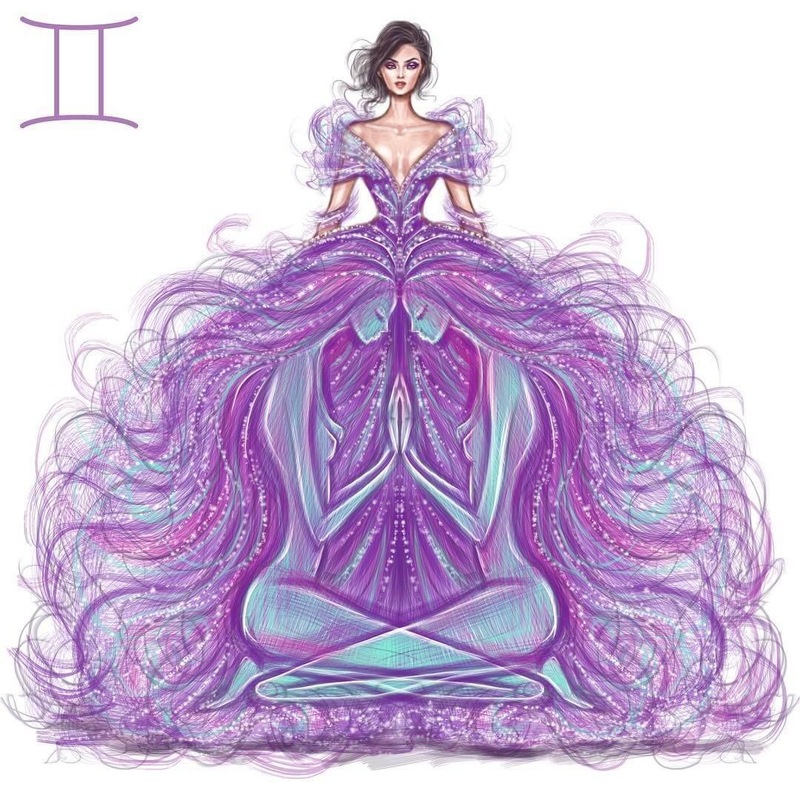 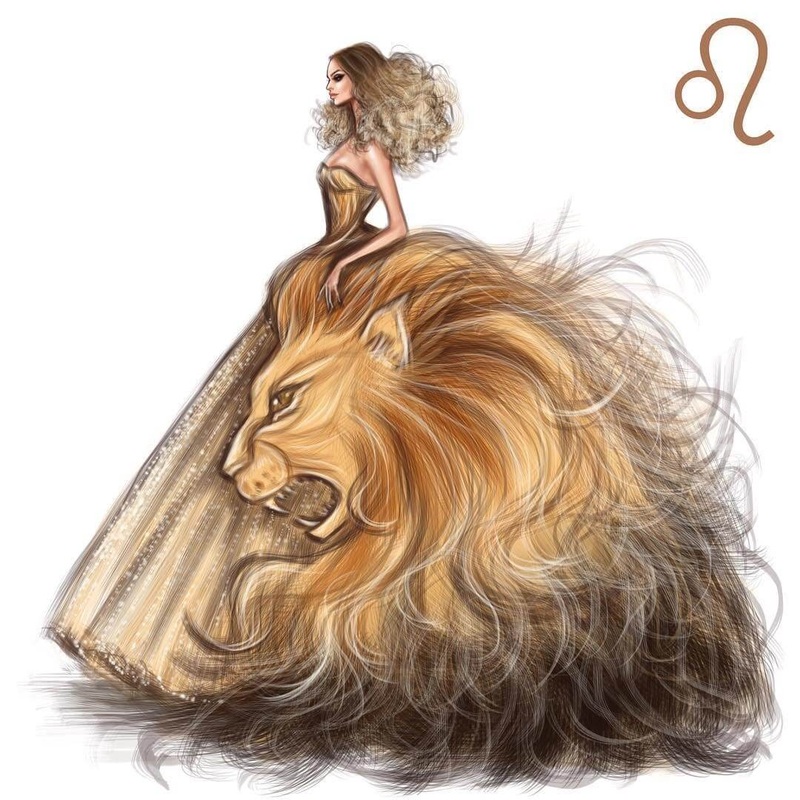 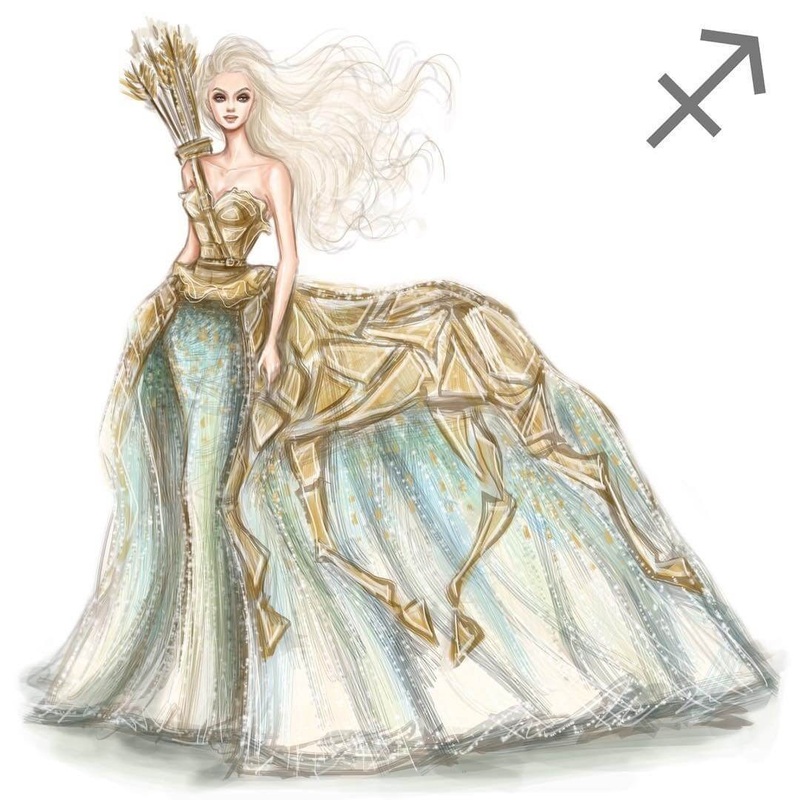 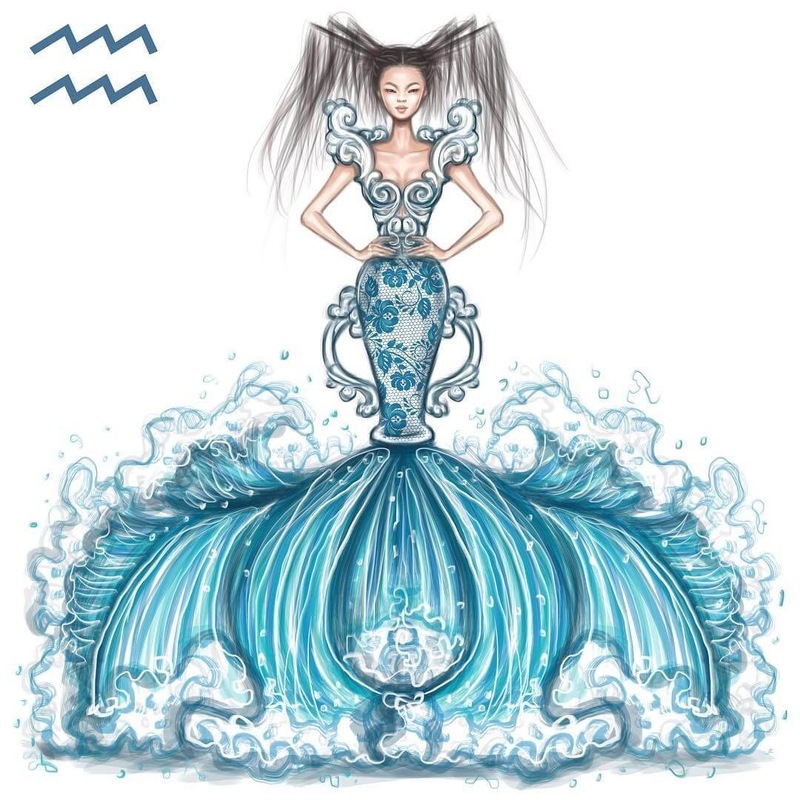 Whether you believe that constellations and that the position of the stars on the day you were born, give your personality certain traits, or you don't, you can still enjoy these beautifully designed dresses, inspired by the twelve signs of the zodiac.